A study conducted by an international firm says that India will be the world’s youngest country by 2020. Here youngest refers to those kids who are going to see a cashless economy in India. Currently, our prime minister has initiated the process of making Indian economy a cashless economy, here cashless means either online or through Fingerprint modes of transaction. With this note am going to start my topic, today's topic is top 7 online payment gateways which are working in India. It is an article that every Indian should know of, the reason being in upcoming days we have to make interaction with these interfaces. So if we are aware of them, then it becomes easier to transact, and there will be no any fear factor of our money loss while transacting online. If you are business owner and you are willing to jump in online market than you must know and implement necessary steps. Payment processor will help to negotiate payments with your online customers but you will surely store few data to comply with certain accounts. You must protect your customers' data from hackers to prevent unwanted business damage. You should Get an SSL Certificate for your website by enabling HTTPS, which will protect data travelling on wire. This protocol effectively prevents man-in-the-middle attack and save important data from the reach of bad people. CC Avenue can be recognized as oldest existing payment gateway platform in India. It was established in the year 2001 almost 16 years ago, being one of the oldest players in the competition comes with the handful of features to provide to their customers. So, let’s see what all features are provided by CC Avenue. • Analytics, and may more. Almost all Banks are using this payment gateway for their transactions, and a site like Snapdeal uses the same to manage their transactions. 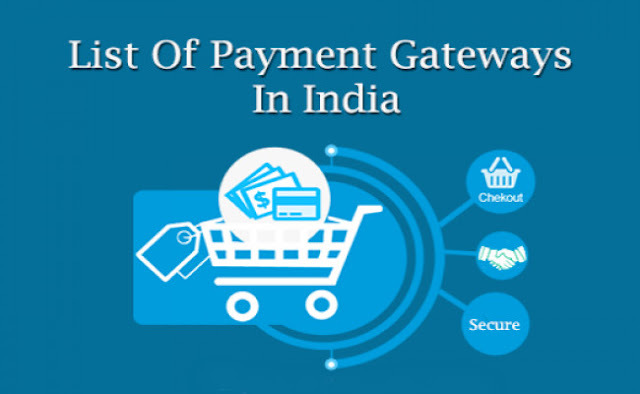 After seeing these much of features, it makes you curious about knowing more about payment gateway and other providers too. Next giant in the Payment gateway is Citrus Pay. It was established in the year 2011, just six years ago but are growing at such speed which had surprised the other player in the business. But their speed made them be acquired by Pay U in the year 2016. Coming to features of citrus pay we can find it same with the Pay U, but still, we shall see their features. These are some of the features of Citrus Pay. Favourite Brands like Myntra.com, Reliance, Bookmyshow Uses Citrus Pay as their platform for Online payments. One of the leading Payment solution provider in the industry is PayU company. PayU was established in the year 2015, and in the next year they took over the big competitor called Citrus Pay who were ruling the industry with the customer base of 800 million. They have 2 section In their company one is PayU Biz and PayUmoney which are providing services in different areas. PayUBiz handles big business like Myntra.com, Reliance, Bookmyshow, etc. whereas PayUMoney is providing mobile wallet service to its customers. • Setup Fee: For PayUBiz, From Rs. 4900 and go up to Rs. 29000 based on Plan. For PayUMoney, its Zero. • Annual Maintenance Fee: For PayUBiz, its Rs. 2400. For PayUMoney, its Zero. • Transaction Fee: For PayUBiz, From 2.20% to 3.90% based on the plan. For PayUMoney, its 2%. You might feel that Features are same of both companies, in fact, it is evident above they are going to be merging so no need to worry. A France-based company Part of Ingenico Payment Solutions. It was established in the year 2005 in India whose headquarter is located in Mumbai, India. It’s been 12 years since business, and they have achieved PCI DSS 3.0 Compliance in India, and they are the only one to achieve this. It is also certified by security and process adherence followed and audited by ISO 27001- 2013 standard. 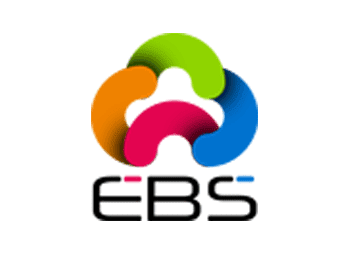 This achievement makes EBS one of the most secured online service providers in the world. There will do the unique things which will keep you in business for an extended period, here they have one, which makes them unique, which I leave you to find out and reply in comments. India’s on demand payment and e-commerce platform which was started in the year 2012. It was used for collecting payment for digital goods, but nowadays it has been used to collect payment for Service, Reports, EBook’s, and much more. This company is having 2,00,000 plus Sellers 5000+ Stores 5,00,000+ product links. As I left a question to you for the answer above here am giving an example how they are unique, here they are specific in their terms, and they are mentioning it out rightly and are not hiding any information. By the time, you come to read this we might expect you to be more interested in knowing the business in depth how it works and what are those factors which are making this industry a living and high growth industry for that you need to wait until our next article comes and will give link to this for reference. One among the largest payment solution provider in India offering merchant cost effective solutions and accepting various payment modes and having fully secured technology for processing transactions. This company is also a PCI and DSS certified company providing service for a long time. Again, I should leave a question to you like which is that one thing which makes them different from others. Am trying to figure out share my burden if possible. There is no company which is using their service which came across me if you know any of them, please specify them in comments. A thought-out company which was established by alumni of Roorkee IIT. It is a new entrant to the industry. Their aim is to improvise the payment system in India by enabling a frictionless mode of payment by giving a 24*7 online Customer Support. With all these features, it’s a growing firm which needs helping hands. I hope you all came to know about different Payment Gateway Service Providers in India, providing service for 16 years almost to a recently established company which is Pay U and the Oldest being CC Avenue. If you are the company looking for a payment gateway solution, then you have seven options to choose your best. Leave your comments and queries in comment section in given below.